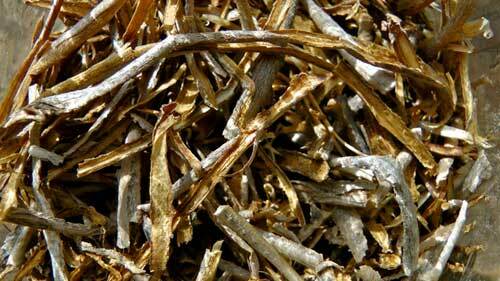 The well dried bark obtained from the stems of Cramp bark, a long-lived tree that grows up to 4 metres, is native to Europe and Asia and has wide, three lobed leaves that it sheds every year. Taking care to not overharvest, so that the tree survives, the bark from the branches is collected in Spring and in Summer when the plant is in flower and the medicinal properties are at their strongest. Cramp bark is perhaps most thought of as a women’s herb for helping with painful menstruation, but it is worth noting that there are lots of other traditional uses that show it has a general effect on spasm and tension elsewhere in the body. 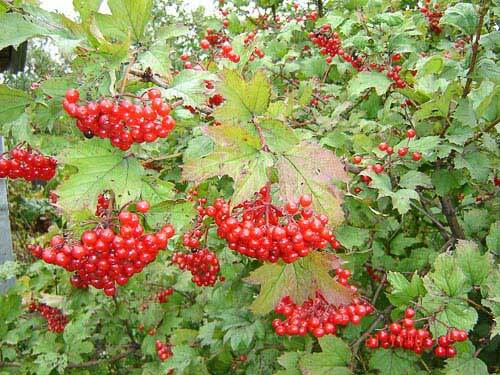 For example, Cramp bark has been historically used for migraine, asthma, biliary colic (from gall stones), renal colic (from kidney stones), and numerous different kinds of indigestion or bowel disturbances where cramp is the key feature. The British Herbal Pharmacopoeia (BHP) describes the actions of Cramp bark as 'spasmolytic, sedative, astringent' and says it is indicated for 'spasmodic muscular cramp, uterine dysfunction, menopausal metrorrhagia, threatened miscarriage, partus praeparator, infantile enuresis' and specifically indicated 'for cramp, ovarian & uterine pains' The BHP recommends doses of 2-4 grams or by decoction and the extract at a dose of 2-4 mls. 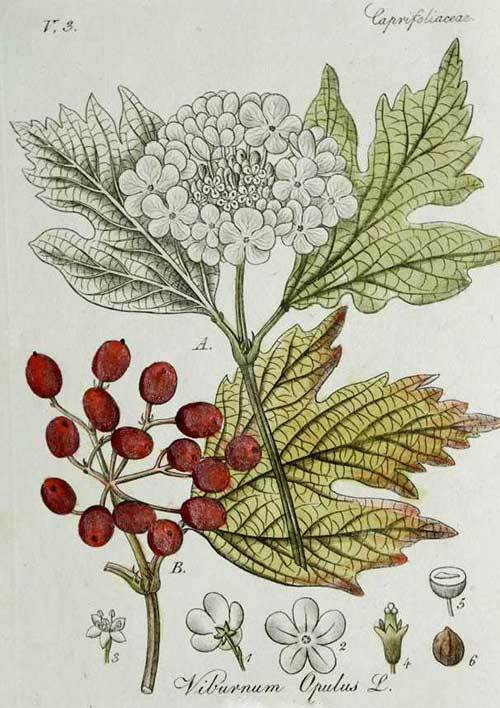 Thomas Bartram writes that the actions of Cramp bark include 'antispasmodic, astringent, nerve & muscle relaxant, sedative'. He suggests uses for it including 'muscular spasm, spasmodic pain in the abdomen, womb, ovaries, back, stomach, intestines, bladder. Painful menstruation. flooding menses of the menopause, polymyalgia rheumatica, nervous irritability, heart cramp (angina) intermittent claudication, arteritis, palpitation, earaches, acute bronchitis, asthma, muscular rheumatism, convulsions or bedwetting in children'. I love it that I can trust Cramp bark's relaxing action without having to have any worry about it being at all sedating or having any kind of side effects. 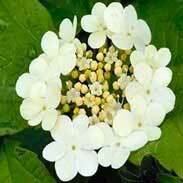 Cramp bark is an extremely safe herb that can be used with great confidence that it will do no harm. That said, it should not be taken in a larger dose than needed to get an effect as this will reduce the effectiveness of the herb, this paradoxical matter is discussed in more depth below. Cramp bark is an extremely safe herb that can and should be taken in pregnancy if there is concern for the uterus being overly tense and there being any threat of miscarriage; likewise, it may safely be used during breastfeeding and by the young and old. 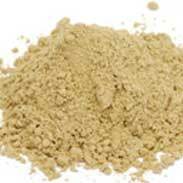 I find Cramp bark to be a simply fantastic herbal ally in clinical practice and have used a great deal of it for diverse people with many different problems; the common theme being that there is always too much tension in the physical body. Cramp bark has an uncanny ability to relax and soften those places that get too hard, too tense, and I have seen it help shift remarkably stubborn health problems over and over again. Cramp bark is helpful for too much physical tension anywhere, but it works particularly well on those muscles in our bodies that we don’t have much control over i.e. our digestive and urinary tract muscles, our lungs and for women, the womb. Cramp bark can be excellent for helping with painful periods and, equally, be as valuable for such problems as constricted breathing, functional bowel disorders, heart palpitations and chronic muscle pain from excess tension. Anyone who is studying herbal medicine or who simply wants to learn more about these great plant allies will do well to take a small dose of Cramp bark tincture (or some sips of its decoction although it should be noted that this will be a challenging taste for many and the tincture may be much easier to work with) and then, with a quiet and attentive mind, observe closely what they then feel happening in their body. I am sure that anyone who performs this old practice which we use to better understand the herb's 'action' will notice a palpable before and after difference when they do this. The words we use to describe such an action can only be a reflection of the reality of the feeling but when I have done this exercise with my colleagues or students the kinds of words that come up are 'softening, deepening, profoundly relaxing, warming, healing', incidentally our usual practice is to not let them know what they are testing until afterwards, so they just listen to their body rather than any expectations of the mind. As I talk about more in a moment, getting the dose right is critical to success with Cramp bark and perhaps if you who are reading this simply need the help of this herb right now then the above exercise will also be an ideal way for you to learn immediately and directly just how much of it you might need to take. Note that once you get that palpable action then taking more of it will not necessarily work better and in fact may do you less good, one of the mysteries of herbs and healing is that sometimes less is more! In most cases the dose that a person can palpably feel only requires a modest amount; somewhere between as little as 5 drops to 20 drops, but people are variable in this regard, it is more than ok to experiment, it is probably necessary! If a problem that needs Cramp bark's help is acute and immediate than I suggest using it as frequently as required. This could mean taking it once every 15 to 20 minutes if things were quite bad and you needed to get its help right away. 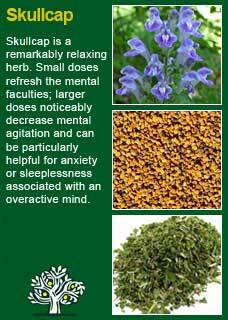 Again, this point needs to be reinforced, it is not that 'more is better' with this herb, the amount that you can feel working, even if it is only subtle at first, is the amount that you will increasingly get a therapeutic benefit from if you keep using it as often as you need. 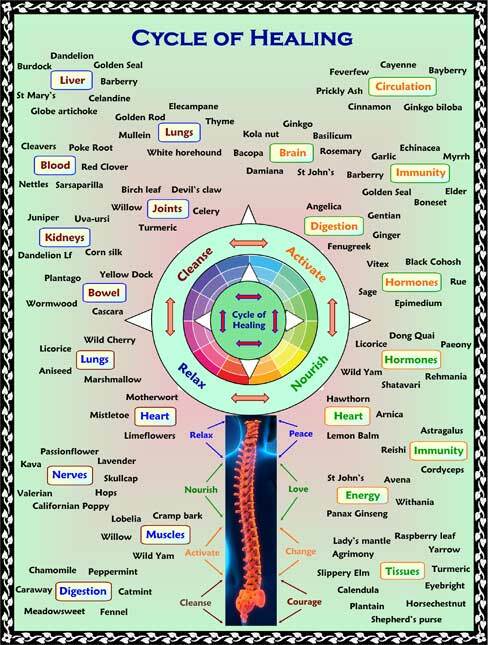 There is probably a little bit of a 'leap of faith' required here for a person who is not used to using herbs to help with pain and who's frame of reference has only been from analgesic drugs. 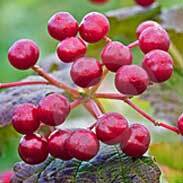 Cramp bark will not stop the symptoms of pain by chemically altering your body's pain signalling. What it can do is help to treat the cause of the pain by helping to release tension in the area where the pain is coming from in the form of cramping, over-tightening muscles. This is why the 'small and often' approach can work the best. Each time you send a 'wave' of the Cramp bark's action through the system, the grip of tension is loosened a little bit more. You are resetting a level and must understand that you are working with the body, not overcoming it by brute chemical force. Be patient with this process as it may take an hour or two to get to where you need to go. Also, do not be too quickly discouraged if you start to relax and feel better but then all of a sudden get another spasm, this is normal as things unwind, it is ok if you take 3 steps forwards and then one back, you will still get there if you keep going! In the meanwhile, whatever you can do to better relax yourself to help the process along will only improve things further and faster. You know what relaxes you the best, reading, talking, listening to music, doing some kind of art of craft. Don't wait until you feel relaxed before doing what relaxes you, have a little faith in your own ability to reset your tension levels too! For a person who has a chronic problem that involves the kind of tension that Cramp bark can help heal then I recommend a daily dose of at least 1 or 2 mls to gradually ease the body into a more relaxed state of functioning. It is certainly ok to use higher doses if needed, Cramp bark shows how a great deal of the art of successful herbal medicine lies in getting the right dose - truly an art because one size most definitely does not fit all! I've almost only ever used Cramp bark as a tincture, so it is hard for me to make dosage recommendations with the tea though again I note that esteemed colleagues have a wide range of what they consider an effective dose range in this form as well. 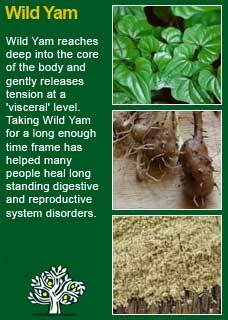 Cramp bark combines perfectly with Wild Yam for pain in the pelvic organs, with Lobelia for breathing difficulties and with Skullcap for excess nervous tension overall. 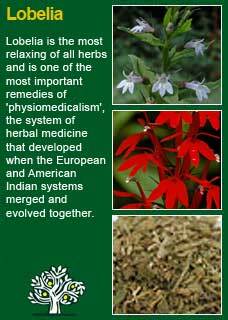 Much of the information here about the traditional uses of Cramp bark is consistent with the model of thinking whereby one may treat problem A with plant B.